The customer friendly procedures have rated Earnlogic as one of the top notch consultants of company registration in Bangalore. A company can be termed as an entity which engages in business and which is composed of an association of people who can contribute money or money’s worth to a common pool for a common purpose that is to build an organization. For any organization to accomplish a perpetual success it is required to have an authorized or a legal entity in the society which can be called as company registration. Earnlogic is one of the leading consultants of company registration in Bangalore with a team of legal experts who helps start-ups and all business issues. 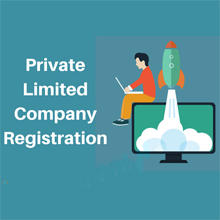 Private limited company is something which is created with two members and is extendable up to 100 members. Similarly the number of directors can be a minimum of 2 and a maximum of fifteen. About 200 shareholders can be accepted in a private limited company. The characteristics of a private limited company are members, limited liability, perpetual succession, index of members, number of directors, paid up capital, prospectus, minimum subscription and name. A copy of PAN card. Submission of PAN card is mandatory during the incorporation process. The name written in the PAN card will be used as it is for everything that is related to the company. A copy of address proof. The names present in this should match with that of in the PAN card. Utility bills such as telephone bill/electricity bill/water bill can be produced as a proof of evidence which should depict the address of the premise. Identity and address proofs should be submitted by all shareholders. In case of one of the shareholders being a corporate entity then the incorporation document should be attached along with the resolution passed by the corporate for subscription of shares. The company's registered office address should be valid. Within 30 days of incorporation or registration process all the proofs should be submitted. A copy of rental agreement.NOC from landlord is required to be submitted in case of a rented office or an ownership document can be produced. A private limited company or a publicly held company is one which is allowed to provide registered securities to the general public. The company's securities can be traded on a stock exchange and can be sold and bought by anyone. 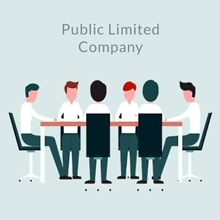 Public limited companies are strictly regulated and are demanded by law to disclose their complete and true financial position in order to determine the true worth of its stock (shares). A public company should have a minimum of 7 members and the board of directors should be a minimum of 3 and a maximum of 15. Identity proof of all the shareholders and directors has to be submitted. All the shareholders should produce their PAN card which is very mandatory for Indian nationals. All the directors and the shareholders should produce their address proof. Utility bills such as telephone bill/electricity bill/water bill can be produced as a proof of evidence which should depict the address of the premise. In India, the concept of One Person Company was introduced through the Companies Act, 2013 to encourage entrepreneurs who are capable of starting a venture by themselves and by permitting them to create a single person economic entity. It is basically a combination of a company and sole proprietorship. A single person is enough to start a one person company. There is no requirement any subscriber or director. It is a separate legal entity and the entrepreneur holds the complete authority. It is a kind of encouragement for innovative start-ups. A copy of PAN card should be submitted mandatorily. ID card is required. It could be driving license, voter ID, passport or Aadhaar card. LLP is the common way of business. In this structure two or more people co-ordinate together and operate a single business unit. There are enormous benefits in an LLP which is what makes people to prefer this form of company. LLP provides good flexibility which allows the partners to choose how they can invest in the company. It is a decentralised structure of management where all the hold equal rights. 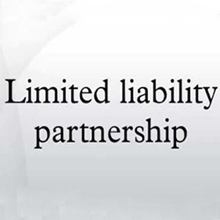 Tax benefits and the limited liability are the two significant features in LLP. PAN card copy of all the partners of need to be produced. Address proof must be submitted by all the partners, the name must should match with that of in the PAN card. Utility bills such as telephone bill/electricity bill/water bill can be produced as a proof of evidence which should depict the address of the premise. Residential proof also to be submitted along with the address proof. The documents acceptable are Bank statement, Electricity bill, telephone bill. If the partner is a foreign national, passport is mandatory. The document must be in English language only. The document required should be duly certified or attested or notarized. Address proof documents such as Residence card, driving license, Government issued form of identity with address mentioned, and bank statement. The names in the passport and address proof should match. Residence proof should be submitted along with this. . The names in the passport and address proof should match. The documents acceptable as are: Electricity bill, telephone bill, water bill, bank statement. It is a non-profitable company incorporated mainly for the purposes of promoting education, eradication of poverty and so on. One can choose any one of these routes such as trust, societies and section-8 Company to form a non-profitable organisation. In this type of firm profits would not be declared to its members and the company should be responsible to ensure that the profits are solely utilised for promoting its objectives.